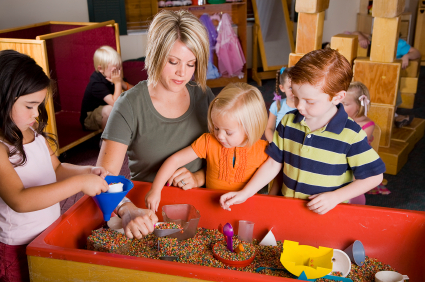 Educational facilities such as daycare centers and preschool facilites can seem clean, but they can be a breeding place for germs and odors. Protect students, employees and visitors from germs and odors found in classrooms, offices, and other areas by using the SmartTouch Sanitizing® System to eliminate these health hazards. It is the smart thing to do to protect everyone. It is not enough to clean. You need to sanitize. How do you do that effectively and economically? You do so by using your own cleaning or maintenance staff trained to use our SmartTouch Sanitizing® Systems. If you would like to use one of our SmartTouch Sanitizing® System Authorized Technicians, click here. The SmartTouch Sanitizing® System utilizes a technologically advanced process to sanitize and deodorize indoor areas without the need for toxic chemicals, fragrances or services, which require manual wiping and rinsing. In a fraction of the time needed by other sanitation systems, our SmartTouch Sanitizing® System can sanitize against a multitude of germs, offices, classrooms, gyms, locker rooms, or other populated spaces.